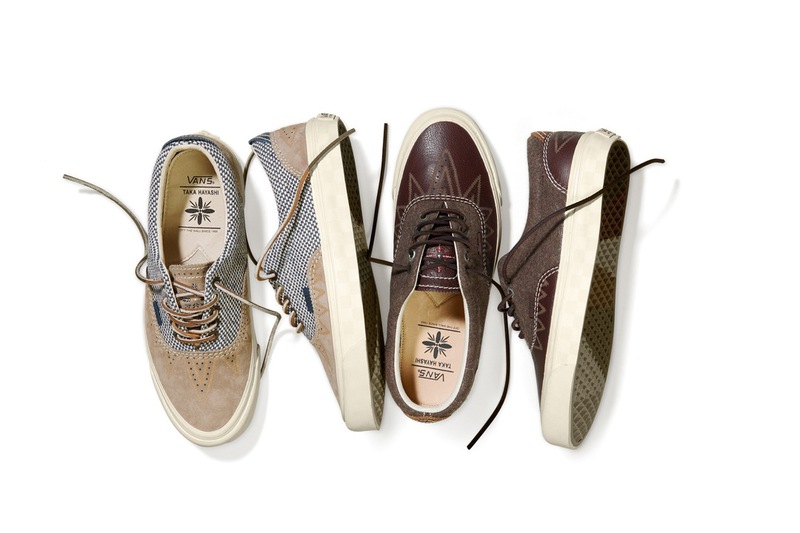 Artist and designer Taka Hayashi links with Vault by Vans for a luxury take on several models as we approach Holiday 2014. Within the collection the TH Sk8 Mid Skool LX, TH Era Huarache LX & TH Sk8 Huarache LX all receive an updated look that elevates the lifestyle sneakers to a premium offering. 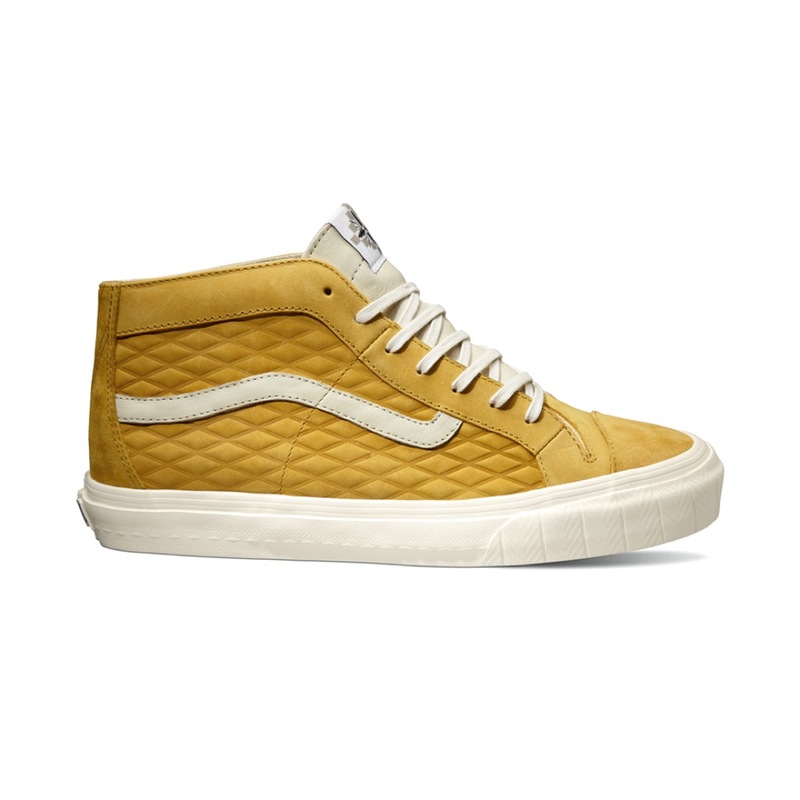 Diamond-embossed quarter panels and herringbone-molded toe bumpers bring new life to the TH Sk8 Mid Skool LX which will be offered in Honey, Light Gray and Total Eclipse color ways. 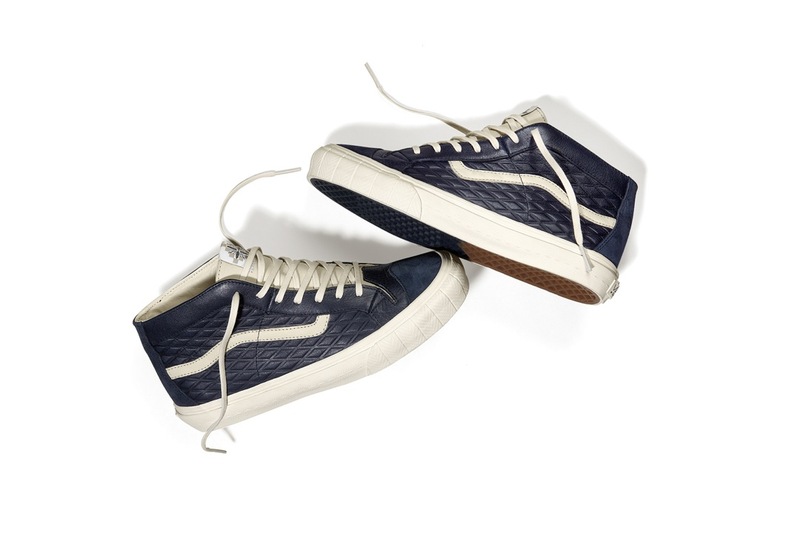 Leather, suede, and nubuck provide the material touches that finish off the design update. Taka Hayashi also looked to traditional huarache-crafting techniques for the TH Era Huarache LX and TH Sk8 Huarache LX. A part of a 4-piece west, Bordo and Mustang, the collection is a mix of dark leather uppers with wool accents or premier pig suede and Italian woven textiles. 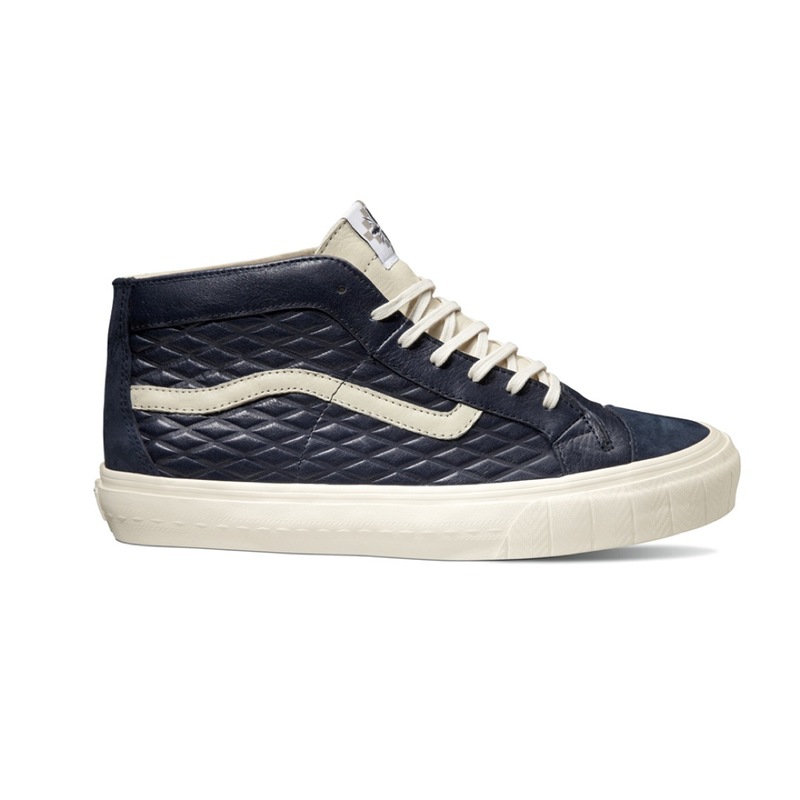 Both looks elevate the collection and pair the skate shoes with a premium aesthetic. 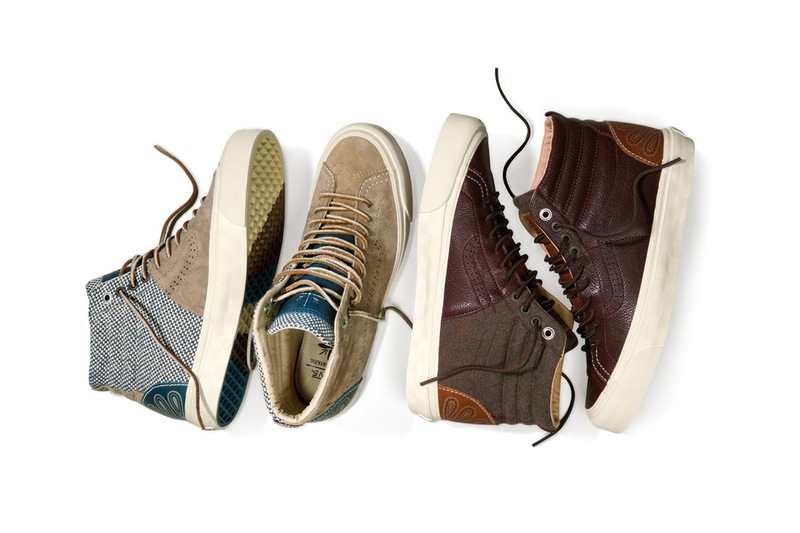 The Vault by Vans x Taka Hayashi TH Sk8 Mid Skool LX, TH Era Huarache LX and TH Sk8 Huarache LX release this October at key Vault by Vans retailers.